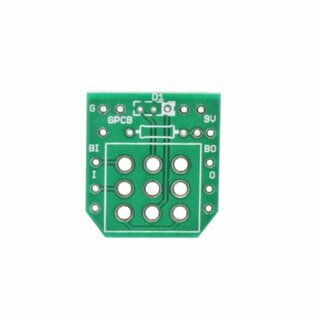 This pcb makes wiring the 3PDT footswitch easier. There´s also room for a LED and resistor. 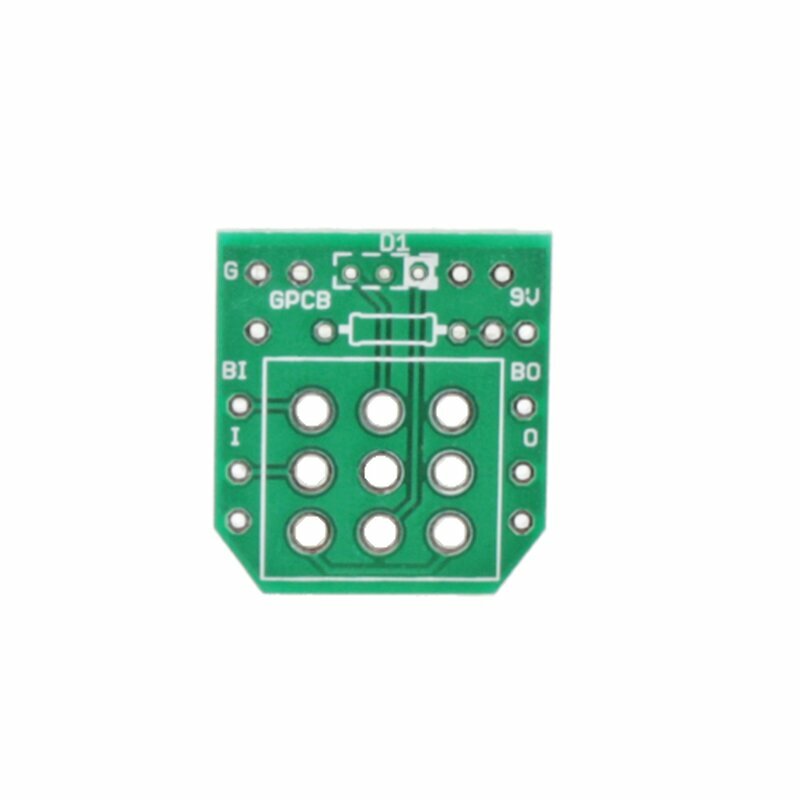 The dimensions of the pcb are 24x24mm.